Dr. Parks served on the Miramar National Cemetery Support Foundation Board since its inception. He was elected President and CEO in 2008. He died February 4, 2014, from complications of surgery. He was 70. 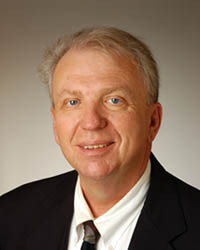 Born in Thayer, Missouri on January 21, 1944, Dr. Gary Parks had a long and distinguished career. He served in the U.S. Coast Guard Reserve from 1961 to 1969. Following college, Dr. Parks entered the field of law enforcement and retired in 1986 from the San Diego Harbor Police. He earned a Doctorate in Education from Alliant International University, a Masters degree from United States International University, and Bachelor degrees in Information Systems and Public Administration. His many civic activities included service as Vice-Chairman of the Board of Directors for the San Diego Veterans Museum & Memorial Center and President and CEO of the Miramar National Cemetery Support Foundation.